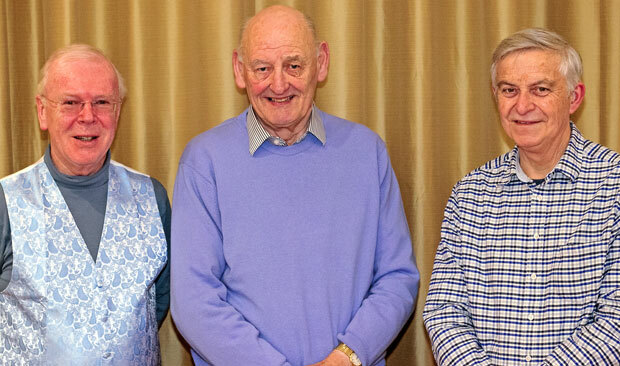 A good attendance at Helensburgh and Lomond Civic Centre in East Clyde Street on Wednesday evening January 30 was welcomed by Trust chairman the Rev David Clark, who invited three other Trustees — Stewart Noble, Donald Fullarton and Geoff Tompson — to give short talks. 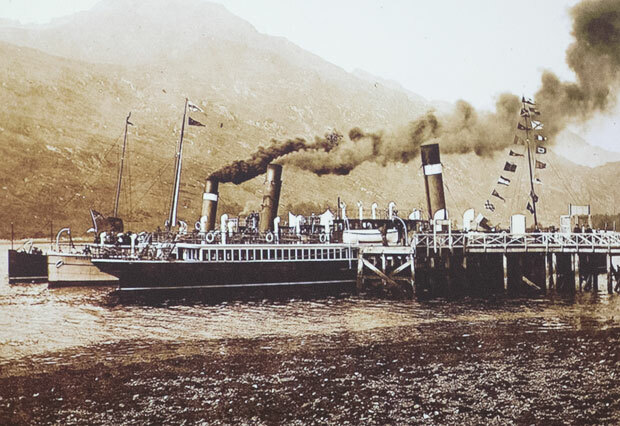 A picture of early steamers at Arrochar Pier accompanied Stewart Noble’s talk, which came largely from a book, ‘Echoes of Old Clyde Paddle-Wheels’ by Andrew McQueen, published in 1924 and reprinted recently. The first part dealt with the explosion of the steamer Telegraph’s boiler off Helensburgh pier on Monday March 21, resulting in deaths and many other casualties, then Stewart spoke about the ‘Battle of Garelochhead’ which was brought about after one of the first steamer sailings on a Sunday. One of the Clyde’s worst ever tragedies took place only yards away from Helensburgh pier on Monday March 21 1842, when 20 people died after the steamship Telegraph exploded. The Glasgow Herald’s edition of Friday March 25 carried the headline “Explosion of the Telegraph Steamer and Melancholy Loss of Life”. The vessel was built in 1841 for the Glasgow and Helensburgh route by Hedderwick and Ransome of Kelvinhaugh, with the owner named as McIndoe and the captain as Ewan. Among those on board were the builder, Mr Hedderwick, well known Clyde pilot Robert McAslan, eight painters on their way to paint the large steamship Precursor moored in the Gareloch, and a pastry baker from Paisley, William Laurie. As the Telegraph began to back away from the pier for the short journey to Rosneath, disaster struck. The Herald reported: “The boiler exploded with a crashing sound, which was heard for miles around, and particularly at Greenock Quay, a distance of four miles. “The force of the explosion was so great that the boiler tubes and part of the machinery were dashed with instant violence to a considerable distance on shore, while some part was blown into the sea in a contrary direction. “The scene is described as having been heartrending in the extreme, the masses of falling wreck being mixed with the mangled bodies of the dead, and the first wild roar of the explosion being succeeded by the screams and groans of the dead and dying." The Garelochhead battle erupted on Sunday August 21 1853, when the steamer Emperor paid its second Sunday visit to the village pier. The first visit was peaceful, but this time local Laird and the owner of the pier, Sir James Colquhoun of Luss, was determined to prevent the landing of passengers on the Sabbath, and the pier was barricaded. The steamer arrived about 1.20pm during a service at the village church, and those on board battled with the defenders of the pier, eventually demolishing the barricades. The matter went to the Court of Session, where four judges refused to ban Sunday sailings. Donald Fullarton told the true story of Helensburgh man Matthew Freer Rodger, of Rossland, East Montrose Street, who, after a glittering school and university career, died in action in World War One. 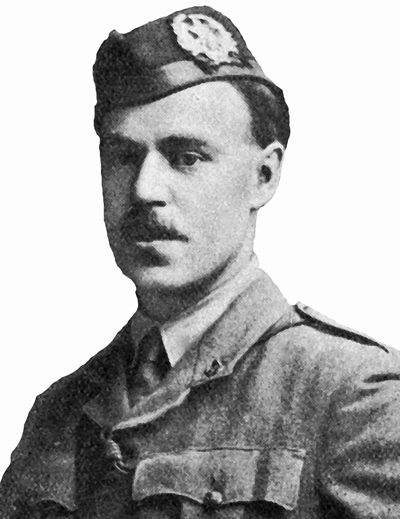 A Lieutenant attached to the 2nd Cameronians, he was killed on October 23 1916 at the age of 30 in the final offensive mounted by the British Fourth Army during the Battle of the Somme. He died while leading his company attacking German trenches six other battalions had tried and failed to take. Seven days after his death, a baby boy was born in Edinburgh’s Royal Maternity Hospital. The mother, his girl-friend then fiancée and intended bride Helen Esson, gave the baby his father’s name, Mathew Freer Rodger. Soon after, she petitioned the Court of Session to declare that she was legally married to Lt Rodger, who before the war was a Writer to the Signet in Edinburgh. After considering details of the wartime romance, Lord Anderson said it was a clear case, and granted declarator of marriage, the only time this has ever happened. This entitled her to the Writer to the Signet widows pension which she enjoyed until her sudden death in Australia in 1930. On baby Mathew’s birth certificate his parents are stated to have married on February 1 1916, which was actually the date of conception. He died in Edinburgh in 1995. 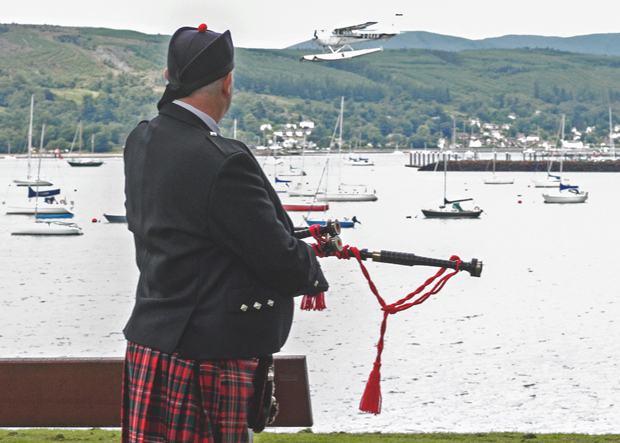 Geoff Tompson, a former Navigator Captain of a Nimrod crew of 206 Squadron at RAF Kinloss, who moved to the area with his late wife Trudi in 2014, displayed a photo of a seaplane flying past the unveiling ceremony for the MAEE memorial at Kidston Park on July 1 2017. He gave a potted history of the Marine Aircraft Establishment, RAF Helensburgh, and in particular its development of the life raft, versions of which are in use to this day and have saved many lives. He also spoke about MAEE’s involvement in the design and testing of the Barnes Wallis bouncing bomb used in the Dambusters raid on Tuesday May 17 1943. On the fourtieth anniversary of the raid in 1983, Geoff led a flight of four Blackburn Buccaneer jets which flew over the dams.